The Bahamian qualified for the final in the same time as the defending champion, Dafne Schippers who is aiming to become the first Dutch athlete to win successive world titles. 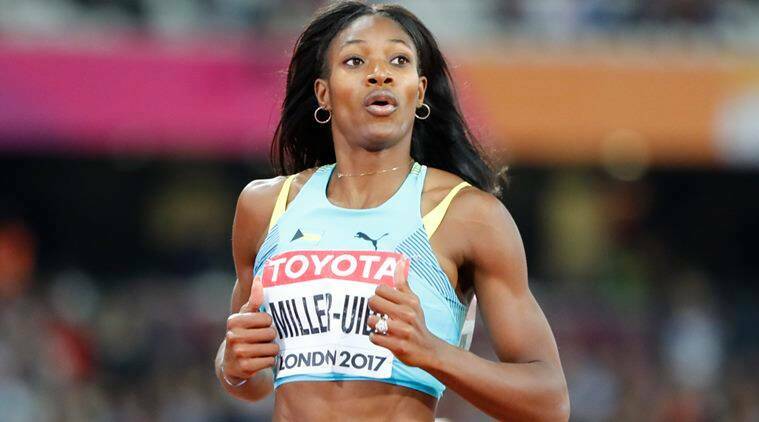 All eyes will be on Shaunae Miller-Uibo following her 400 metres slip up to see if she can keep her composure in the women’s 200 metres final at the World Championships on Friday. Another woman looking to retain her crown is America’s Tianna Bartoletta in the long jump final. She will be fiercely challenged by compatriot Brittney Reese, who has the season’s best jump of 7.13 metres. Another duel between team mates comes in the men’s 1500 metres semi-final as Asbel Kiprop and Elijah Motonei Manangoi of Kenya take to the track for a place in Sunday’s showpiece. Kiprop beat Manangoi to gold in Beijing two years ago. The decathlon gets underway with the 100 metres starting the day’s events at 0900 GMT. South Africa’s Caster Semenya goes in the women’s 800m semi-finals later on Friday. There are also gold medals to be won in the women’s 3,000m steeplechase and men’s hammer throw.